Cardiovascular exercise, also called cardiorespiratory exercise and aerobic exercise, has been shown to have a number of health benefits when performed on a regular basis. These benefits may be realized by both those who are apparently healthy and those who suffer from various health problems. Cardiovascular fitness promotes the loss of body fat and has been reported to actually decrease the appetite in many individuals. However, even if it doesn't reduce appetite, the calorie-burning effects of regular aerobic exercise can allow for substantial caloric intake. Many endurance athletes regularly consume between 3,000-5,000 calories per day and remain extremely lean. Cardiovascular training, when combined with a sensible diet, will definitely promote an increase in lean body tissue and a decrease in body fat percentage. The skeletal system can be strengthened by weight-bearing activities such as fast walking and jogging. This can not only assist in reducing the risk for developing osteoporosis, it can also help to slow down the progress of the disease for those whose doctors recommend exercise. Aerobic exercise is often part of treatment programs for diabetics whose blood sugar is well controlled. This is due to the fact that aerobic training increases the sensitivity of the cells to insulin so diabetics who exercise regularly require less insulin to effectively regulate blood sugar levels. In addition, studies have shown that persons with adult-onset diabetes have been able to significantly reduce or eliminate medications other than insulin by following a regular exercise program combined with a healthy diet. Cardiovascular exercise is often a major component of the therapy for those who have suffered a heart attack and for those who are at high risk for coronary artery disease. Three of the primary risk factors for developing coronary artery disease are high blood pressure (hypertension), smoking and high blood cholesterol. Cardiovascular exercise can play a significant role in reducing risk associated with these three factors. First of all, many people with high blood pressure are also overweight. Regular sessions of aerobic exercise will reduce body fat and lower blood pressure. Secondly, many people who smoke find the incentive to quit after embarking upon an aerobic exercise program. Thirdly, regular, brisk, cardiovascular training leads to an increase in the level of high density lipoprotein (HDL), also known as the "good" cholesterol. Those with arthritis can benefit from aerobic exercise to help them maintain an ideal body weight. Therapy programs for arthritis sufferers should also include appropriate exercises to help maintain joint range of motion. This can be incorporated into an overall exercise program that includes cardiovascular exercise. 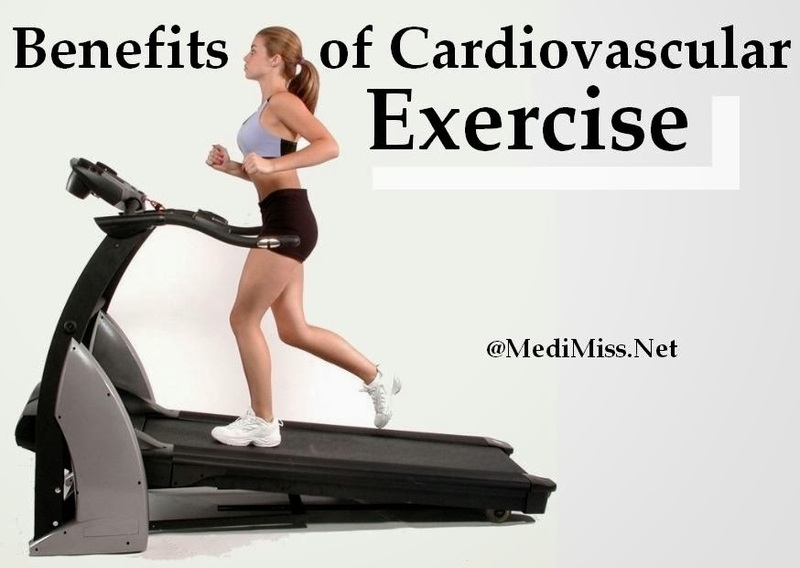 Cardiovascular exercise has also been shown to decrease clinical symptoms of anxiety, tension and depression. Regular aerobic workouts increase blood flow and assists the body in eliminating toxins which can make a person feel better. On a physiological level, cardiovascular fitness decreases resting heart rate and increase heart volume. It increases maximum oxygen consumption, capillary density and blood flow to active muscles. It also increases total blood volume, allows for maximal ventilation and increases lung diffusion capacity.